Skiing is not only a sport loved by many, but it is also an economic sustainer for winter sports lovers and indeed the economy. The American ski industry has over 500 Ski resorts and generates more than 3 billion dollars with an employment capacity of over 71,000 people nationwide. For there to be skiing, there is a need for snow to peak at the right depth and thickness for winter sports lovers to enjoy their sport. 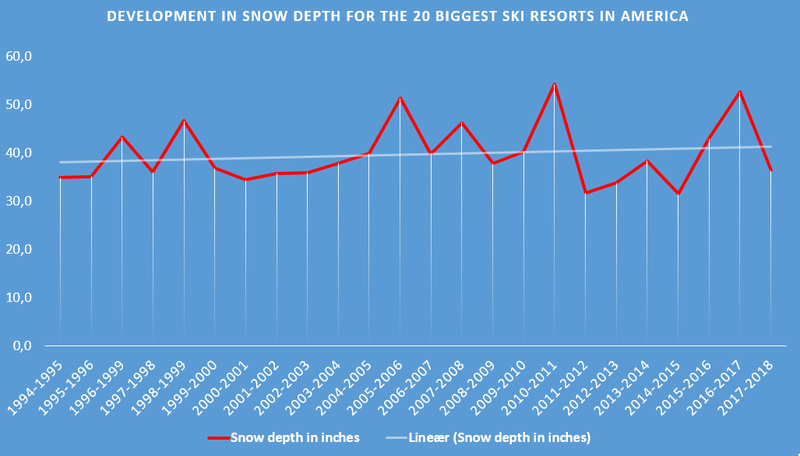 This is why many people are worried that global warming will cause less snow when news breaks regarding climate change and its projected impact on ski resorts. While metrological reports are often right and predictions over the years have been valid. However, the reality of weather forecast for 2018 regarding the impact of climate change on snowfall and its depth at the ski resorts fall short of the prediction. In fact, contrary to the 2018 snowfall prediction, Jacob Elsborg Larsen didn’t see snowfall doing any worse as everything appears normal and ski resorts will enjoy a full season. His report is corroborated by another 2018 ski industry report which recorded a consistent growth of 1.5% between 2013 and 2018. Ski resorts statistics for 2018 show stability. 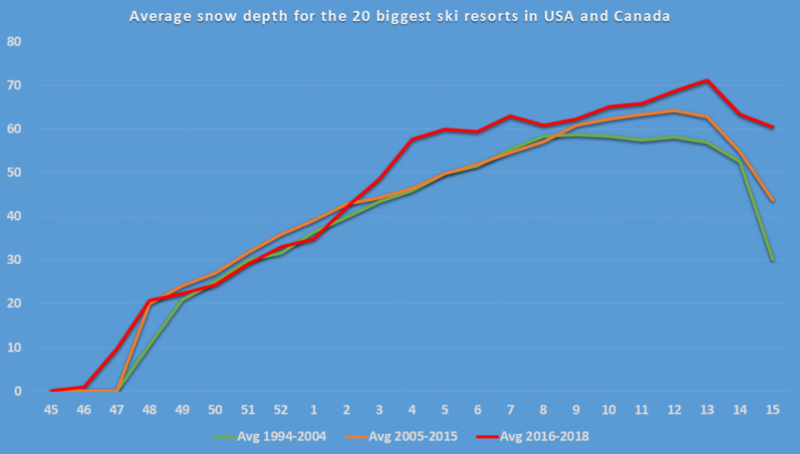 It indicates there is no need to panic because the pattern drawn from data from world’s ski resorts in the last 25 years shows no less snowfall this year. While Jacob Elsborg Larsen is positive about the industry surviving the 2018 snowfall climate change prediction, he is excited to see what data in the coming years would present as climate change persists. However, a researcher at Oregon State University in a study warns that climate change is making winter warmer and shorter. He found that America’s snowpack has declined with about 30% in the past century. This is not the first time predictions about changing fortunes of ski resorts would be heard. In 2016, a study from the University of Colorado predicted a cut in ski resorts by 50% by 2050 with the hardest hit in the Pacific Northwest, Southwest, and Upper Midwest. As it stands, it looks like winter sports enthusiasts and industry watchers will continue to enjoy the good skiing season and watch development in the coming days following Jacob Elsborg Larsen position on whether climate change would affect ski resorts or not. With ongoing global efforts on climate change reversal, one expects a reprieve in the devastating effects of global warming on American ski resorts. For now, there is still a lot of snow and no shorter season as envisaged at the American ski resorts!